Shergold designer and renowned British Guitar Builder, Patrick James Eggle explains the reasons behind his design choices. 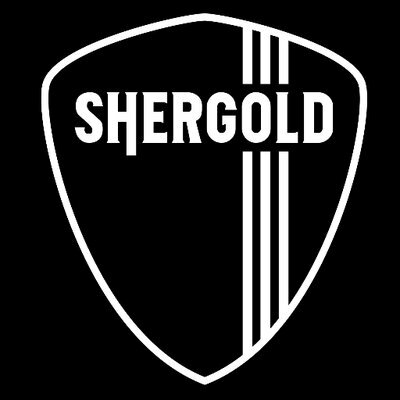 Q: So, what was the idea behind the Shergold re-design? I always knew that the reborn Shergold guitars couldn’t be retro reissues. We had to bring something new and exciting to the guitar party. Although I took inspiration from the originals, I worked to make the new Masquerader more of a rock guitar than just a standard bolt-on, double cut. But it was a strange path to tread, because I felt we had to keep the inherent vibe of original Shergolds, while bringing it up to date and make them a bit more friendly. Q: What about the bridge design? I wanted an ‘ashtray-style’ bridge, as everyone loves the fact that you can rest the palm of your hand on the back and mute or damp the strings really easily. But everyone also hates the fact that you can tear your hand to shreds when you get into the heat of it and begin playing hard. So we decided to dress away the sides. This keeps the right look, but makes playing that bit more pleasant. Q: Why did you choose locking tuners? To retain the flavour of the originals, the headstock scoops down from the fingerboard face. However, as I wanted to avoid ugly string trees, to get the strings low enough on the D and G strings, we needed to use staggered-height, locking tuners. So, now the headstock looks nice and clean, and you also get the benefit of rock-solid tuning reliability on stage! Q: OK. So why Seymour Duncan pickups? I have used American-made Seymour Duncan pickups many times in the past and know they’re super-reliable. After that, it was a case of choosing the exact pickup models for each model. The Masquerader SM01-SD has a P90 in the neck which is really quite hot, with some awesome crunch to be had. At the bridge is a TB4 humbucker which is a very versatile and powerful unit. For the Masquerader SM02-SD I chose my favourite single coils in bridge and middle position: SSL6 Texas Hots. These beauties love to be warmly overdriven and always bring a smile to my face. On the Masquerader SM03-SD we have a familiar 3 single coil setup using vintage voiced SSL2s in neck and middle position. Then in the bridge the STL2 has that extra twang that will cut thru anything. It’s also worthing saying that the SM02-SD and SM03-SD have reverse wound middle pickups, so they hum cancel when in the mixed positions. For the Masquerader SM04-SD, I wanted to pair two humbuckers together to produce a typcially powerful and hot tone. Pairing the clear and bright '59 humbucker with its sweet sustain in the neck with the versatile coil-tap TB4 at the bridge was the best sounding option. Q: Are they coil split? The humbucker­ equipped Masquerader SM01-SD, SM02-SD and SM04-SD have a push/pull switch on the tone control to provide a coil-split and voice the inner slug coil. Q: What’s special about the Bakelite pickguards? Well, this is one of those little details that I got obsessed over. I love the way Bakelite looks. It’s got a real classy feel too. So much nicer than shiny plastic. It’s also a feature you usually only find on custom-shop US guitars, as it’s quite expensive. It’s very hardwearing as a material, so will last very well and even better, it looks better the older it gets. Q: The volume and tone pots are in a straight line on the Masquerader. Yes. I moved them from their position on the original Shergolds. It’s simply to avoid accidental contact and make things a little easier. Q: The Masquerader SM01-SD, SM02-SD & SM03-SD guitars have solid rosewood necks. That's pretty unusual isn't it? Well it’s certainly something usually reserved for the very top end instruments. The whole neck is one piece of rosewood with another slice used for the fingerboard. Not only does this look amazing, but the one-piece of rosewood can act coherently to create a tone much warmer than if it were maple or alder. I decided that a solid mahogany neck and ebong fingerboard was a better option to compliment the darker, hotter tones of the double humbucker pickup configuration on the SM04-SD. Q: The fret markers are pretty unusual too. They’re incredibly cool I think! Each of the lines - both in the fretboard and along the edge - is an actual inlaid strip of aluminium, Again, an example of my obsessive nature I guess! Q: And you even got excited about the strap buttons! I did. It’s these little things that set apart the extraordinary from the ordinary. Rather than making life easy by opting for die-cast, chrome plated buttons, I decided to use my favourite buttons. Made in Japan, these buttons are made from a single chunk of aluminium, each individually turned on a lathe. They look beautifully smooth and add another little touch of class.